The Bring Back Our Girls group has welcomed the release of the Dapchi schoolgirls but says it’s legal action against the government still stands. 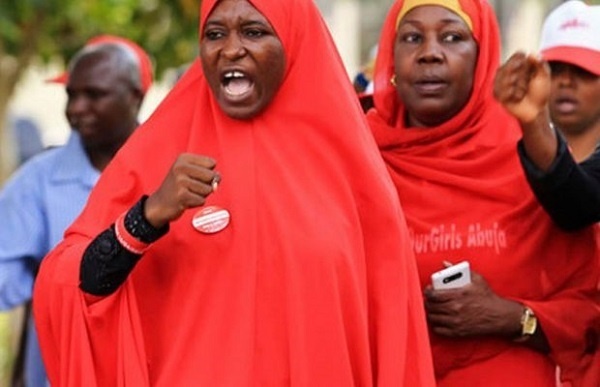 The Bring Back Our Girls (BBOG) group says it will proceed with its legal action against the Nigerian Government despite Wednesday’s release of some of the kidnapped 110 Dapchi schoolgirls. The group had last week issued a seven day ultimatum to the Nigerian Government to ensure the rescue of the Dapchi schoolgirls and the 113 Chibok schoolgirls still with Boko Haram. The government on Wednesday announced that 101 of the Dapchi schoolgirls kidnapped on February 19 had been released by Boko Haram. The Minister of Information, Lai Mohammed who announced this noted that no ransom was paid and that the release was unconditional. Mohammed also noted that the number of released girls may increase at the end of profiling. The BBOG in a statement welcomed the release of the girls but noted that it’s legal action still stands. It also revealed that it will investigate the circumstances surrounding the release of the girls. “The #BringBackOurGirls movement has been made aware of the cheering news of the return of our missing #DapchiGirls. Our movement has confirmed this to be true and the accurate position of things," the BBOG statement read. “Our immense pleasure at the return of most of our #DapchiGirls on this 30th day of their captivaty notwithstanding, the 14 questions we posed to the Government of Nigeria still stand, as well as our notice to commence legal action.